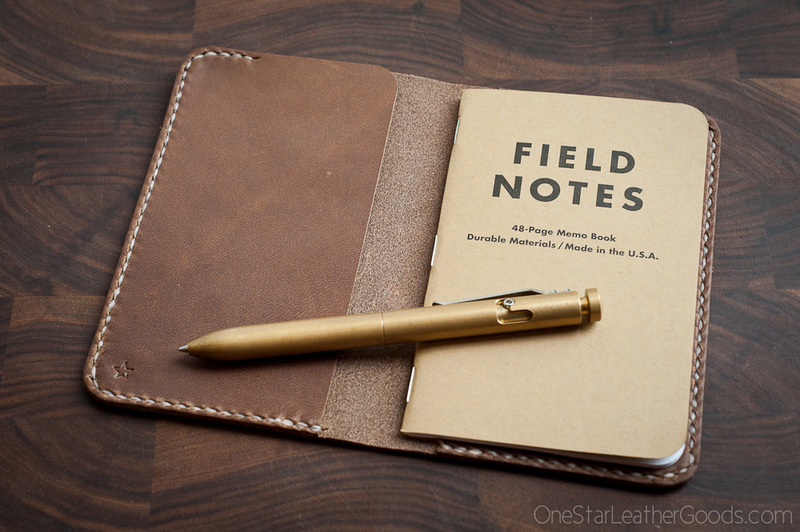 Field Notes is a great pocket notebook. 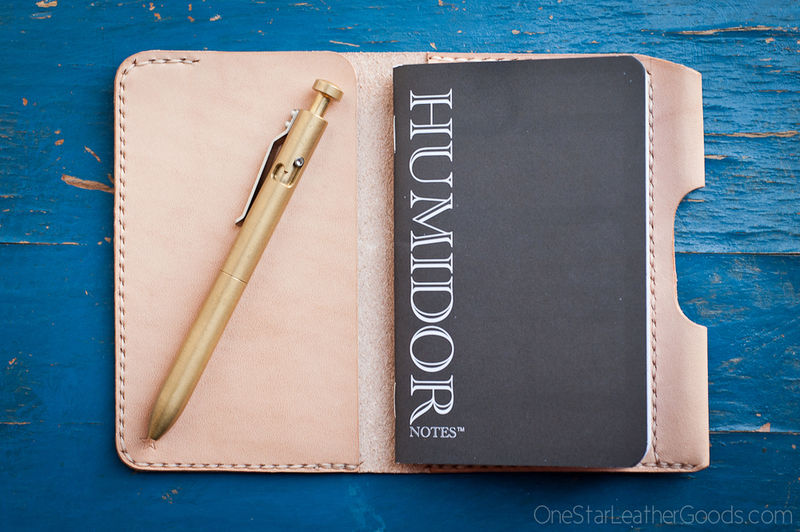 These covers fit them and others of similar size from Clairefontaine, Moleskine, Rhodia, Forest Choice, Word Notebooks, Rite in Rain, Doane Paper, Fabriano, Paper Stax, Scout Books, Furrow Books, Slim Note, Denik, Calepino--whew! It's a popular size. 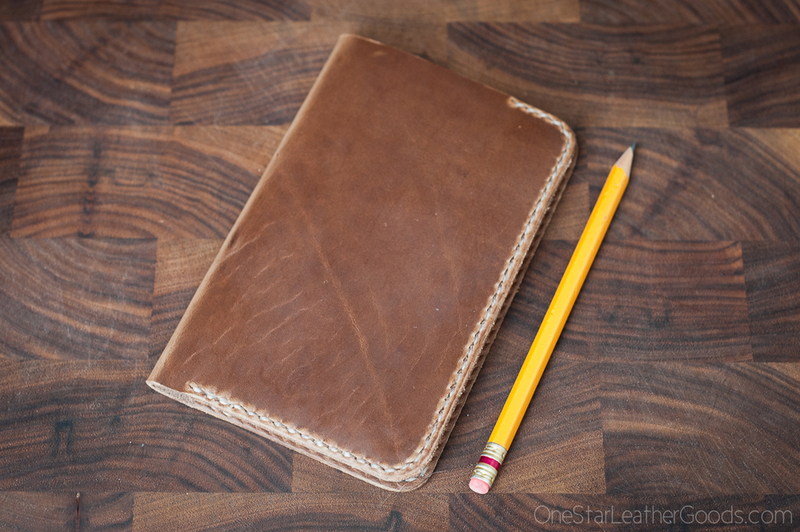 And don't forget to check out the Park Sloper Senior wallet / notebook / pen, which takes the same notebooks. 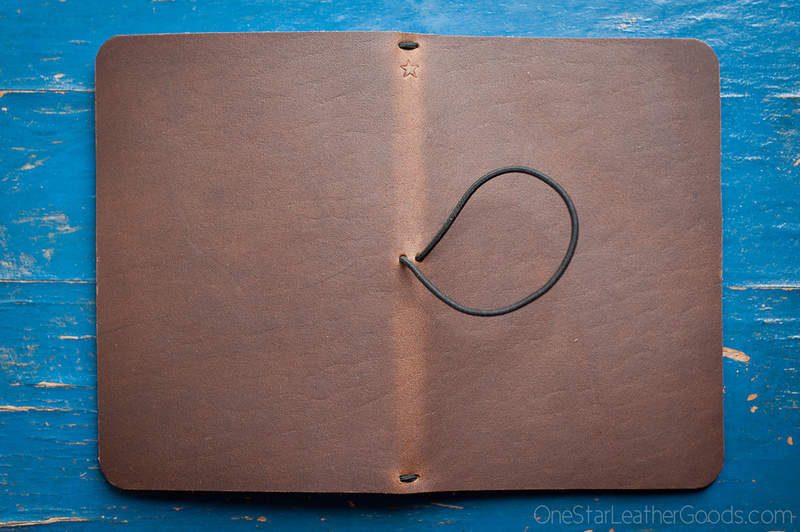 This is a simple notebook cover for softcover 3.5x5.5" notebooks. 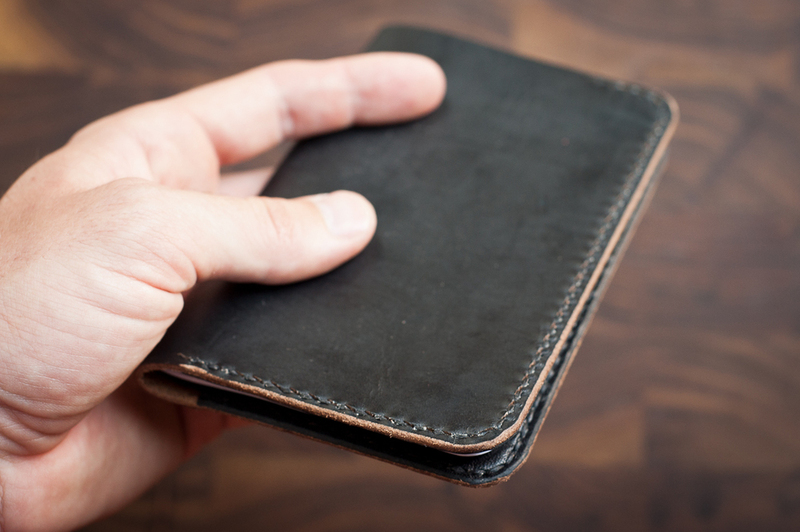 It is one piece of leather folded and stitched. 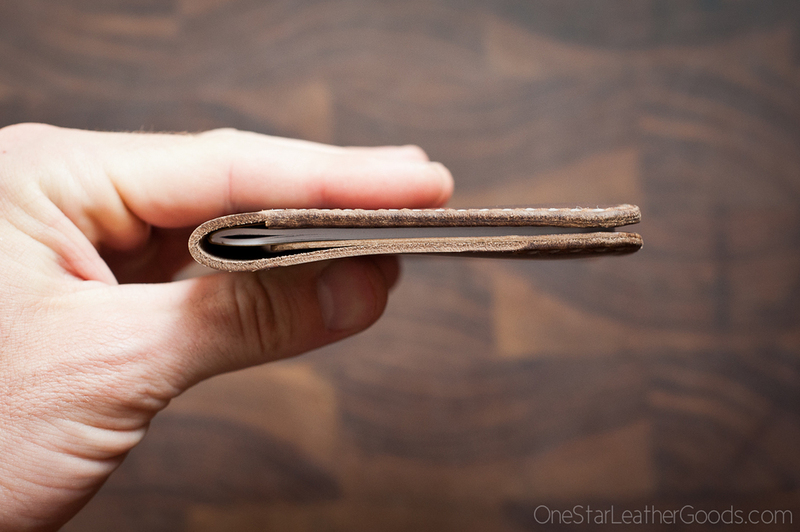 It is thin but durable leather, and the folded edges mean the smallest footprint in your pocket. 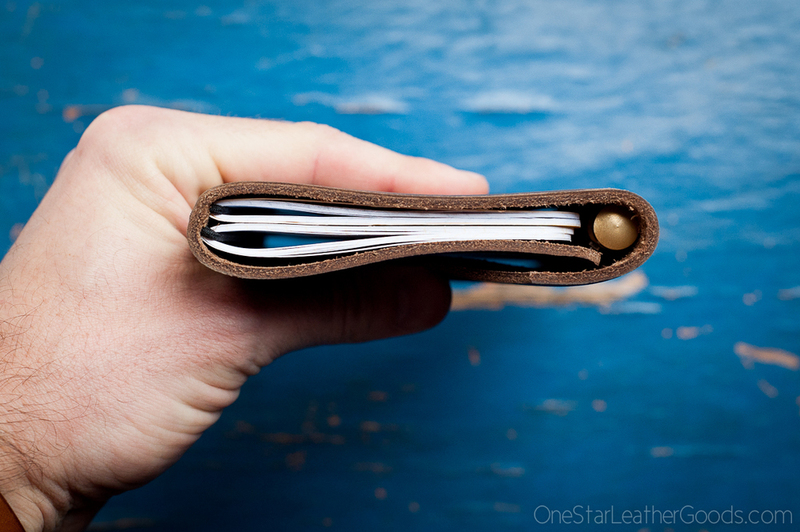 You can fit two notebooks in it, one tucked behind each flap. 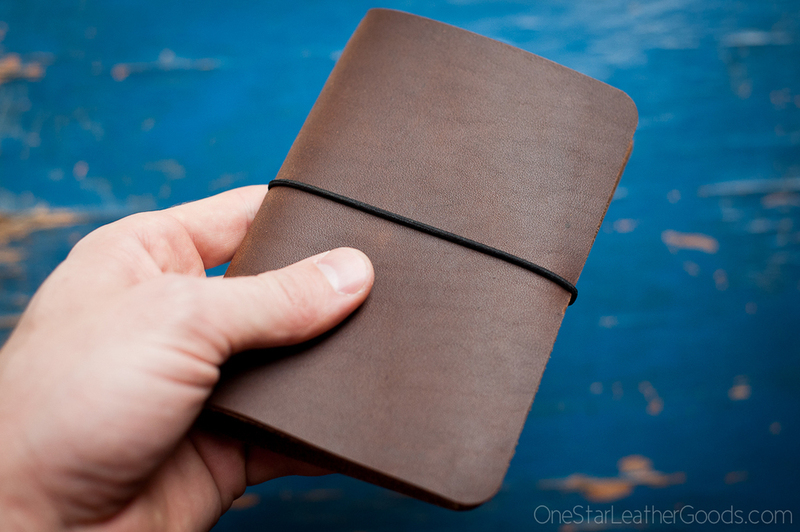 This is the slimmest, most compact cover for Field Notes sized notebooks. This cover is stitched all the way around. 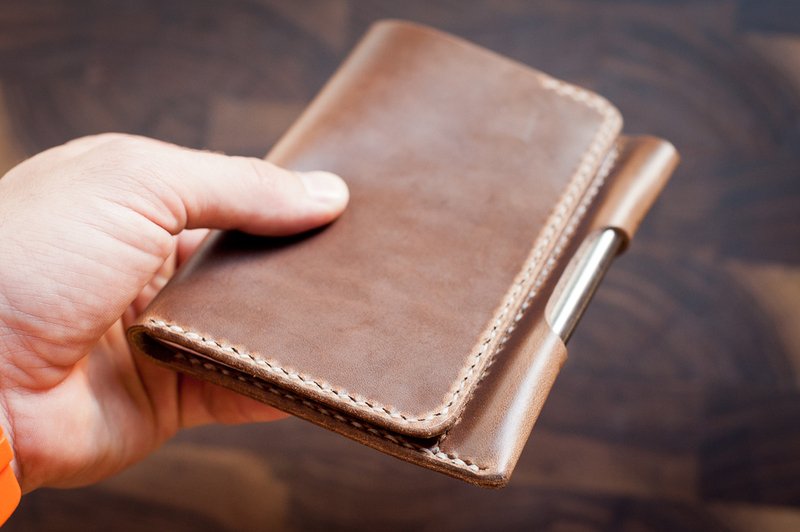 The left flap is left partially open to make it easier to stash receipts, business cards and other whathaveyous. 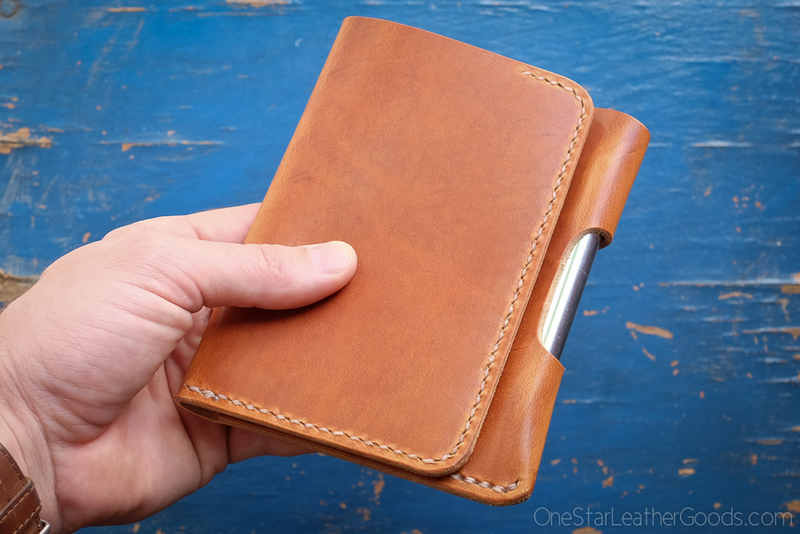 You can easily carry two notebooks in this cover, one with its back cover tucked into the right flap, another with its front cover tucked into the left flap. 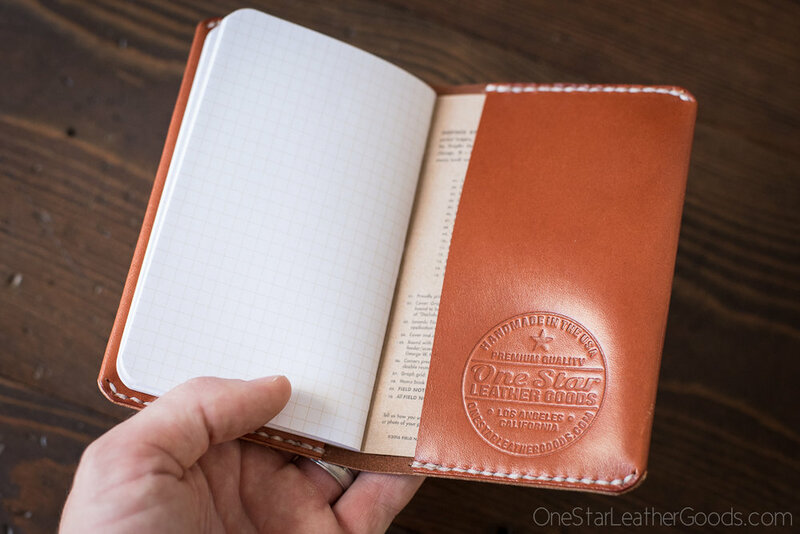 This cover is available in the full array of leather colors. I often have some these in stock, but they are always available in your choice of colors and options as a Build-Your-Own item. Same as the above model, but this time with the addition of a pen sleeve. My pen sleeve is meant to swallow the whole pen, including the clip, so there is nothing to catch on your back pocket or anything else. The next step up in functionality after this is my Park Sloper Senior (see that page for more details). 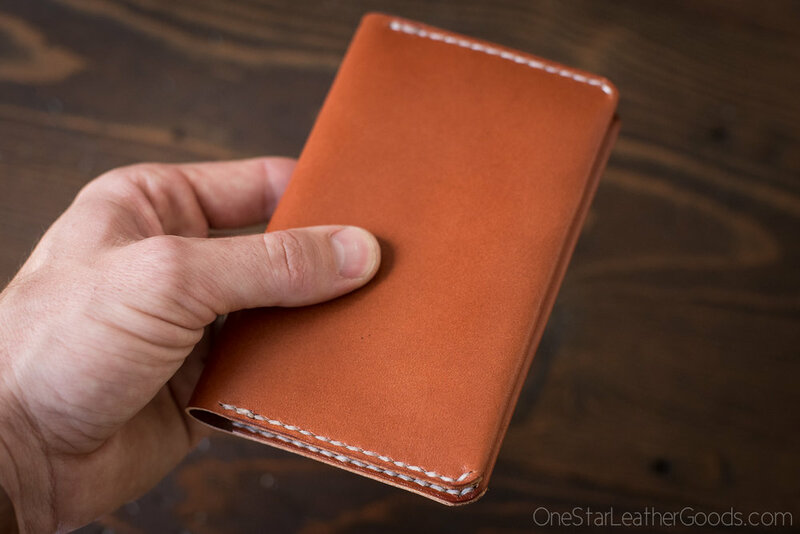 That model adds card slots for the convenience of using it as a wallet as well. This works great in a back jeans pocket. As long as you position the pen on the outside edge of your back pocket (which remains almost straight when sitting), this is very comfortable back there. There is very little risk of bending or breaking pens. I carry this with a pen in my back pocket frequently and hardly notice it even when sitting. 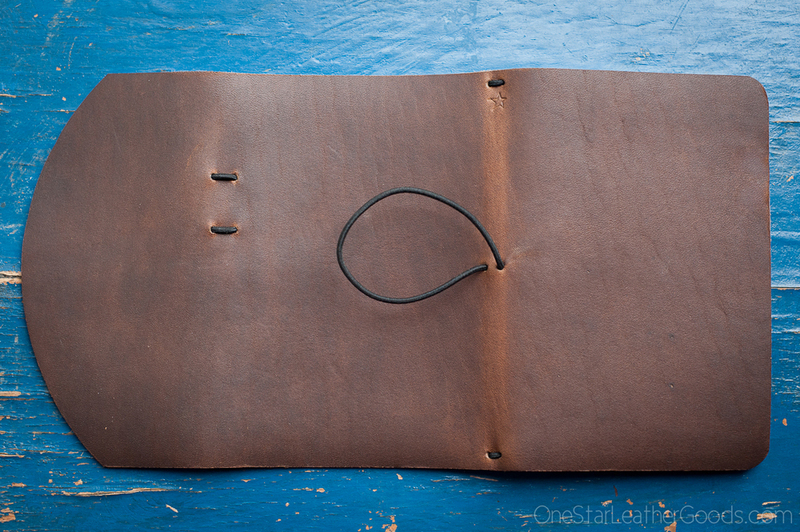 Inspired by one of Leonardo da Vinci's notebooks that had a simple string closure, this is my twist on a classic. 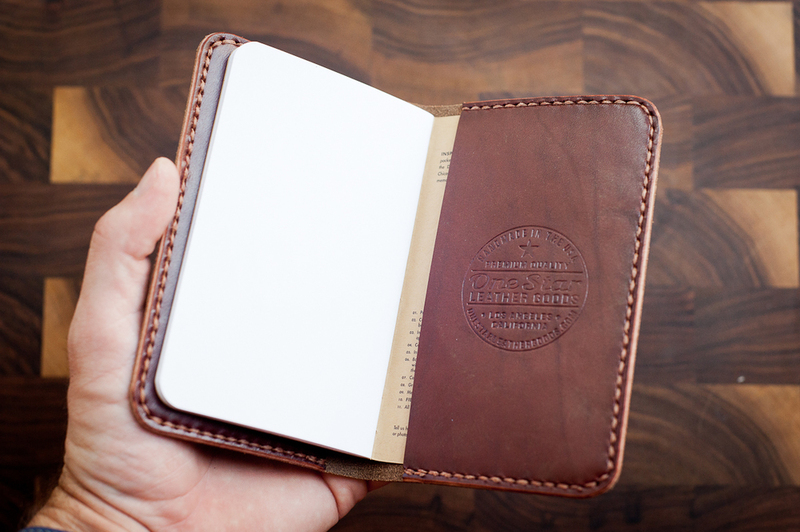 This version accepts just about any 3.5x5.5" softcover notebooks: from Field Notes to Moleskine® to Doane Paper to Word Notebooks to Clairefontaine. You can fit 1-4 notebooks in there comfortably depending on their thickness and the whole thing is kept tidy with an elastic closure. The leather will last two lifetimes and the elastic is easily replaceable. This is only availble when in stock. Same as above, but with the addition of an elastic pen loop. 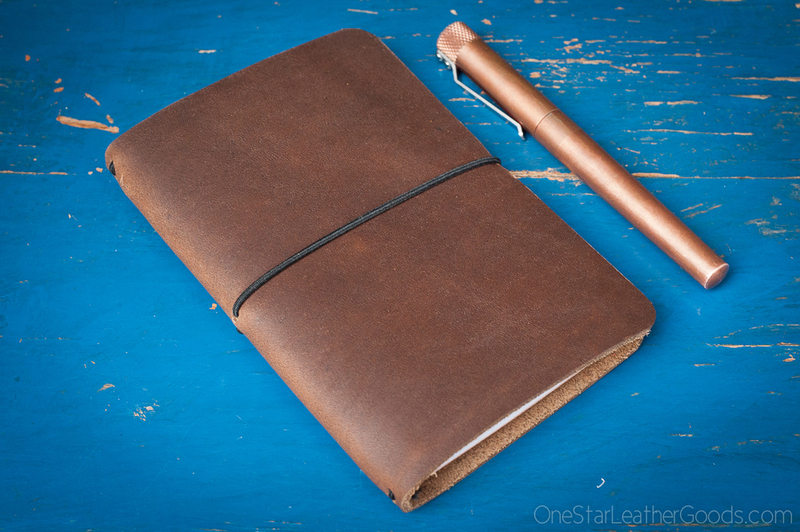 The elastic can take almost any size pen and the leather folds over your pen protecting it from scratches in your pocket or bag.